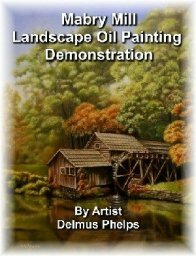 Oil painting techniques for beginners, a frequently asked questions dialog. 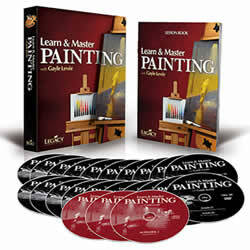 Oil painting techniques for beginners may have the answer for you right here. This page will explain techniques for beginners and seasoned artist's as well. Folks from around the world have posted questions about oil painting here, and I've compiled them on this page. If you don't find an answer here for that problem you are facing, fill out the form at the bottom, and I'll do my best to get you a the right answer! I've also included a search button that might narrow down your question quickly. If you use the search box, it will scour the entire site for the answer you are looking for. It's such a cool tool, I may include it on a number of my pages. The only draw back is it opens in a new page (on Bing, google was just too intrusive, yea, they track everything) where you can then click on the best answer for your question. This will then bring you back to the site. I hope you find the section helpful. Please don't hesitate to contribute comments also. If you are a seasoned artist, we'd love to hear from you too! Sometimes some of the best tips come from folks that have been down the path before us. A large number of questions have been about materials! Either what to do with them, or where to get them. Ummmm, this is giving me some ideas! I believe a fairly large section will be in order for the site dedicated to just that. Art Materials. In the meantime, put your questions here so that beginners have a place to check first to get answers. Oil painting techniques for beginners, our most frequent questions. Keep watching for the e-zine that will announce when this begins. In the meantime, I'll try to keep answering these questions as they come in. Others can comment and leave answers too! So don't be bashful and get going here! One thing I know, there are no bad questions. Most people starting out can feel overwhelmed by the variety of things that come up concerning oil painting. This is one of the reasons I love the flemish technique so much. It provides a step by step process to create a wonderful painting. As time goes by, and you learn and understand what is happening in each of the layers. When you see with your own two eyes just how successful you can be at this. You can then change some of the steps, take a few shortcuts. The shortcuts you take must adhere to the properties of oil paint, but you will learn these as you use the technique. To learn more click here! Otherwise, check out what others have had issues with and learn from them. Below are frequently asked questions about oil painting techniques for beginners! Frequently asked questions about oil painting techniques. Have a great question? Post it here, and I'll answer it here! Put that question right here! There are no bad questions, they all help us grow! I'll post an answer which will be found right here! If you are looking for a critique, include your work in the "Your paintings" section where most painting are now located. If you have a question on how to correct a problem, then great, put it here and I'll see what we can come up with for an answer! Other questions already submitted and answered! Can a painting be done over a period of time or is it best to finish at one sitting. Never worked with wet in wet. what is damar crystal? Indian Stores don't have anything by this name. Can these techniques apply to other mediums and how do you paint wood to look like wood? Cooking Oil as a medium? What kind of brushes do you use? and their sizes? How often to dip your brush into the medium? What is the purpose of the umber underpainting? Did you find an answer to your oil painting question? Did you use my search feature in the upper right hand column of the page? (Mobile users will have to scroll alittle below here to get to it) Then let me help you with one more suggestion. The link below opens in a new page so you won't lose your place here. It is to one of my favorite resources and an artists forum that has a great deal of dedicated fellow artists. Take a glance and bookmark the site, you'll be glad you did! The WetCanvas art forum "frequently asked questions" on oil painting. 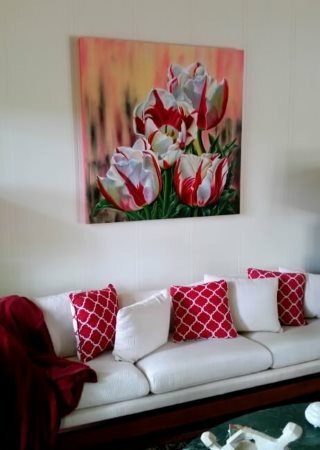 Click here to go to top of our oil painting techniques for beginners page.